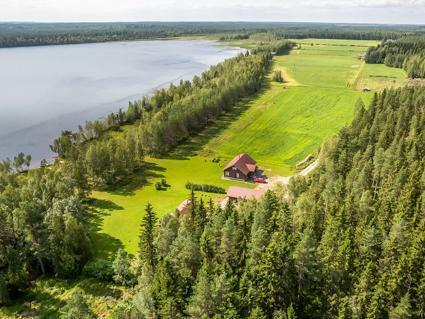 155 km north-east of Seinäjoki, Lestijärvi (length 14.6 km, width 7.5 km), shallow, hard sand bottom, own boat. 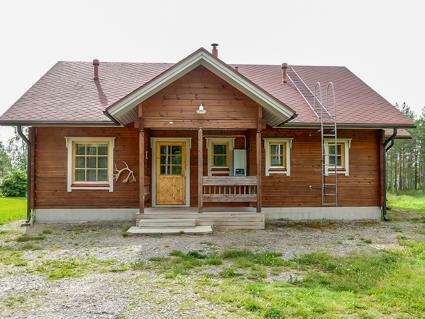 Log construction, 2-storey 105 m² holiday home 2008. Downstairs spacious living room/kitchen, bedroom double bed, hall, vestibule, separate WC, sauna with electric stove, washroom, dressing room, 2 terraces and a porch. Upstairs (24 m²) bedroom 2 beds, lounge area 2 beds. Living room/kitchen has high ceiling. 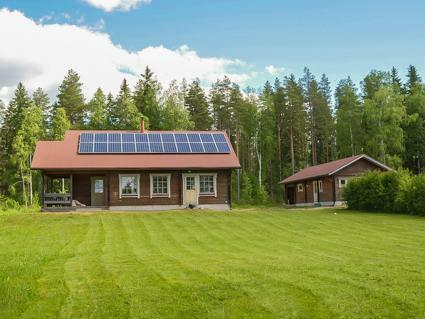 House has geothermal heating system, and underfloor heating on lower floor. The lake Lestijärvi is rich in fish stock, e.g. perch, pike and vendace, and it is allowed to fish with lures and nets. River Lestijoki only a kilometer from the cabin has good spots to try to catch reinbow trouts with lures. 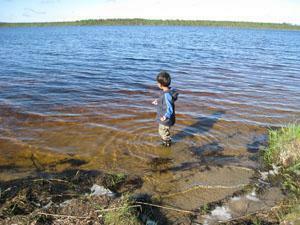 The surrounding nature offers good places to pick berries, mushrooms and hunt small game. High standard spacious holiday home on level, grassy plot. Yard has outbuilding for storage, etc, which is shared with owner's other cottage (the clothes drying cupboard mentioned among the equipment is located there). Campfire place in the yard. Lake lies towards west, sun shines on plot all day round. Owner rents out snowmobile, snowshoes and bicycles. Rod and lure fishing river location and concrete boat slipway 1 km. 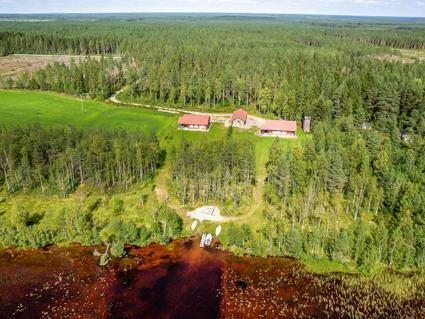 Small game hunting possible in area managed by Metsähallitus (licences required). Lestijärvi's 9-hole/par-36 ice golf course in use at weekends 8 km away. Snowmobile trail 300 m, Nivalan Golf 60 km, Louetkallio downhill ski centre 50 km, illuminated ski trails 9 km, Urjanlinna dance hall 20 km. Extra services: Snowmobile, snow shoes, bikes, linens for rent from the janitor. The cabin can be reached by car during the summer and winter.